Naturally, we wanted to check it out to see what has changed. Well nothing really. The staff are the same and so is the decor. The huge lineup for Dim Sum is still there too. Okay, then was it really only a renaming of the place? We'd need to check out the food to make a proper assessment. 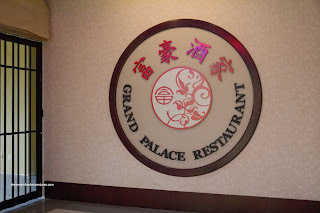 Much like any other Chinese restaurant, making a reservation doesn't really mean a whole lot since we had to wait for our "reservation". Oh well, at least it was only a 20 minute delay. 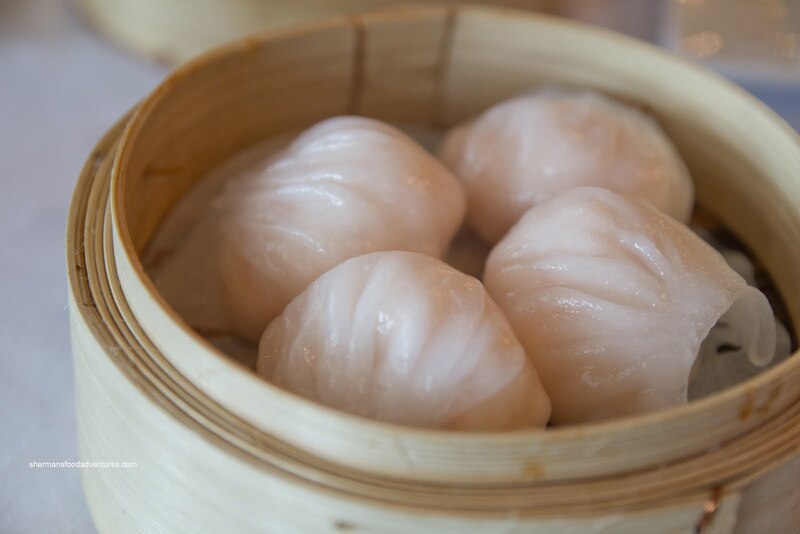 Acceptable in Chinese Dim Sum reservation terms... 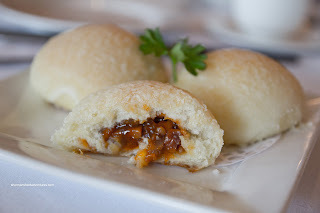 So we ordered a bunch of stuff and of course a relatively sweet items shows up first being the Sweet BBQ Pork Bun. It was pillowy soft with a sweet BBQ pork filling which was meaty and saucy. The extra sweet topping on the bun made this taste like a dessert. Onto the savoury items, we had the Haw Gow (shrimp dumplings) and Sui Mai (pork & shrimp dumplings). The rice flour skin on the haw gow was a touch chewy while the shrimp filling was a disaster. It was in little bits and worst of all, there were veins all over the place! Not only was it gross to look at, the grittiness with each bite was unappetizing. It also didn't help that the whole thing was under seasoned either. 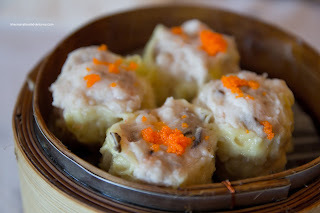 Fortunately, the sui mai were much better, it had a good texture consisting of bouncy pork and shrimp. 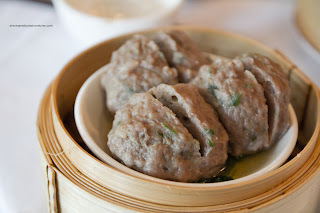 These large dumplings had a good mix of ingredients including a good ratio of pork and pork fat. However, it was predominantly sweet and probably could've used more salt. Moving along, we had the Beef Meatballs which were large, firm and meaty. It could've stood for more tenderizing for that desired bouncy texture. However, the addition of a good amount of water chestnuts provided a nice little crunch in each bite. Flavourwise, they were quite mild. 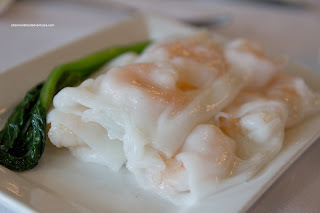 Okay, whenever I talk about Shrimp Rice Noodle Rolls, it goes into a discussion about textures of the shrimp and noodle. However, I need to start it off by saying that they must've dropped the shrimp in a vat of salt because they were unbearably salty. You know that stinging sensation when you put a teaspoon of salt on your tongue? Well, this was it. There must've been some mistake in the prep. Other than that snafu, the shrimp had a nice snap while the rice noodle was thick and dense. 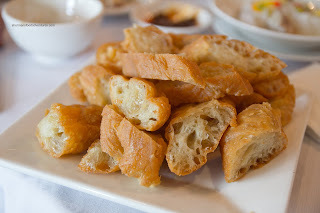 In complete contrast, the shrimp in the Fried Bean Curd Skin Rolls were not salty at all. 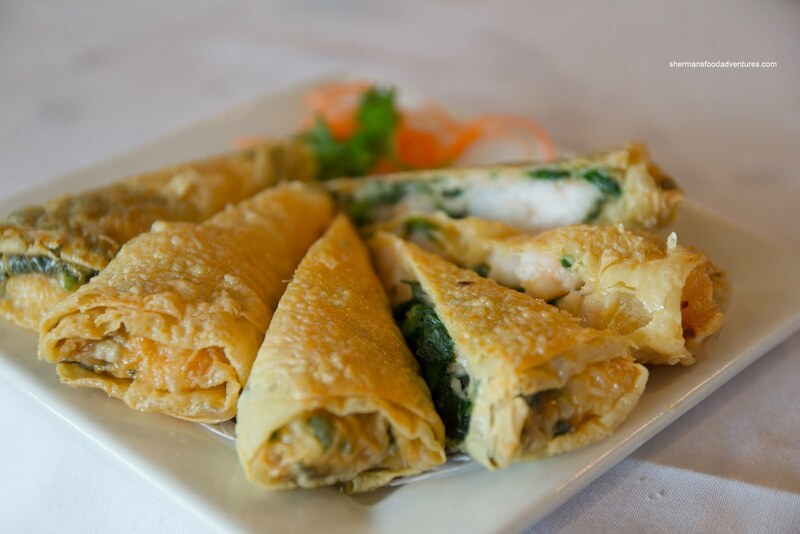 Yes, I know that they don't use the same shrimp in these dishes, which further reinforces the belief that they messed up the batch of shrimp for the rice noodle rolls. 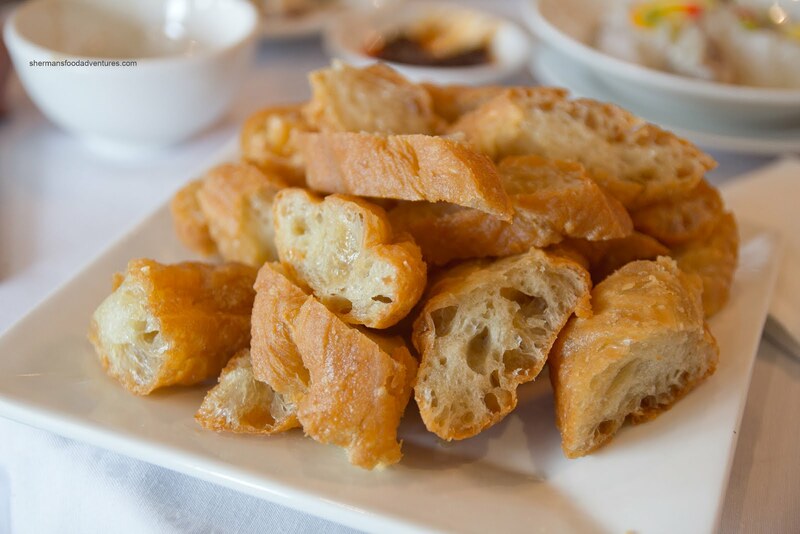 The bean curd skin rolls were crispy, but the crispiness was compromised somewhat by the generous amount of filling. The whole thing was not greasy, but could've benefited from more seasoning (seems like a trend eh? except for the rice noodle roll of course). Onto a favourite of mine, the Pork Spareribs. If you don't notice any black bean in this version, that would be correct - neither did I. Hence, it was more garlicky than salty and there was some flavour from the peppers on top as well. Most of the pieces were meaty and only slightly chewy. These were not bad. Moving onto the Stuffed Eggplant, the shrimp mousse filling had the right bounce texture, yet it was bland. Compared to the shrimp in the rice noodle roll, this was bland. Hence, the entire dish was lacking flavour including the sauce. 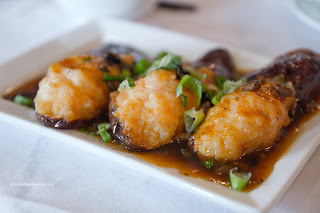 Furthermore, the eggplant soaked up quite a bit of grease which was not pleasant, as well as the mushy texture. Okay, the eggplant was pretty mediocre, but the Salty Donut was just plain wrong. For those who are familiar with it, you'll immediately notice that they sliced the donut and fried it in pieces. Hence, it was hard and really, really oily. I realized that for a restaurant to freshly make a donut might be too much trouble, yet it is no excuse to butcher the product in this manner. Just don't offer it then. The texture was so wrong, my son (who loves this) didn't want to eat it. What he did eat was the Chicken Rice served in the usual hot pot (even though it is not an "actual" hot pot rice). Despite not being prepared over a flame, the rice was chewy while not being too hard. Of course no rice crust would form due to its preparation, but all-in-all, the texture was good. The deboned dark chicken meat was moist while not being all that flavourful. The accompanying sweet soy somewhat alleviated the problem. 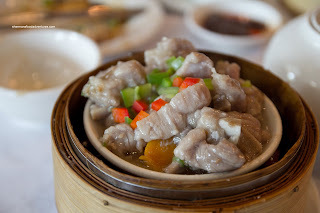 Finally, Dim Sum is not complete without an order of offal (at least for me...). So we got the Honeycomb Tripe which looked quite appealing in large pieces. 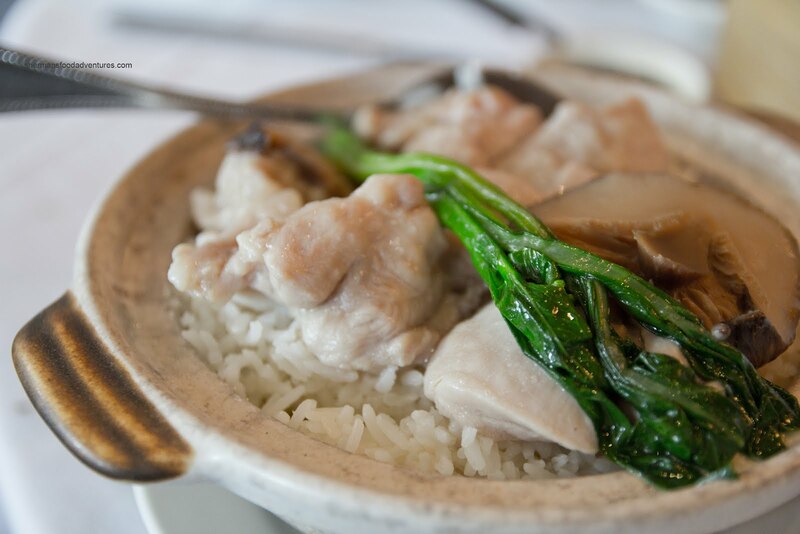 The texture was spot on with the tripe being soft while retaining a slight chew. 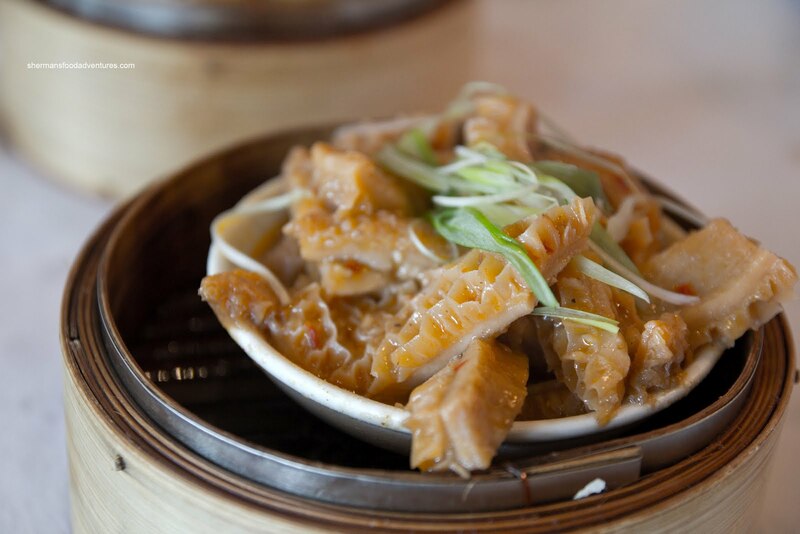 Moreover, the tripe was prepped properly where there was no gaminess. There was a noted level of spice but curiously bland at the same time. Probably a lack of salt? As you can already ascertain, there was some seasoning issues with the food. Generally, there was a lack of flavour in many of the dishes, yet curiously salt-crazy with one particular dish (although it was probably a one-off). Now with all that being said, the food was acceptable (with a few that were terrible). In fact, considering the lack of competition nearby, I can understand the constant lineup. Besides, nothing can be perfect and there are so many variables when cooking food. At the very least, we didn't go away unhappy as the service was quite good. Henderson Centre has a problem with establishing their niche. It started out as a korean shopping centre, but didn't attract enough vendors, then it morphed into an asian hybrid with a hodge podge of stores. The absence of a well known asian anchor is part of their ills, and the vacant ghost like feeling when you go does not encourage a shopper to return. Too bad, this could have been a vibrant asian mall if well planned, in an area that sorely lacks one. @Holly Yup, they were doomed when T&T did not sign on as a tenant a long time ago. I've heard from some friends that rent in Henderson is pretty high compared to Coquitlam Center. @Wade Then they have a problem... They'd better lower the rent fast. Same owners as Tinseltown that suffered for a long time as well. Maxims is good and the new grocery store is better than T&T which I find is going down hill since the Loblaws buyout. It is the same owner as tinsletown who had similar problems. They are in it for the long run. Maxims is good and the grocery store has been better since new owners took over a few months back. T&T continues to go down hill since Loblaws took over.